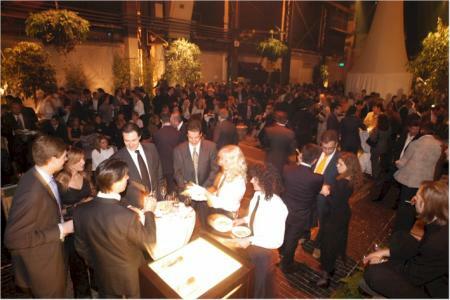 Zenith Night took place on April 5 on the occasion of the World Watch and Jewellery Show in Basel. Over 600 international guests took part in the event. The concept of the gala evening was devised by the Zenith Design Studios. 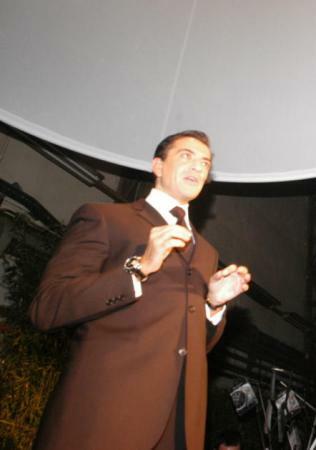 “The symbolic Zenith star guides our guests through the ‘Zenith Gardens of Time’ until they eventually enter a world of exceptional emotions,“ explained Thierry Nataf, President of Zenith International. In an elegant fashion show, Zenith presented the Chronomaster Star, its newly designed women’s watch. The “dancers of time” ballet performance reflected the Chronomaster Open, the top-of-the-range model of the Zenith collection 2003. “I am delighted to welcome our partners, friends and the press and television from several continents here tonight. Luxury is beauty and modernity but, above all, also emotion and truth. A moment of joy. I would like to thank all of you, who contribute to the success of Zenith, for spending this evening with us,” said Thierry Nataf in his opening address.